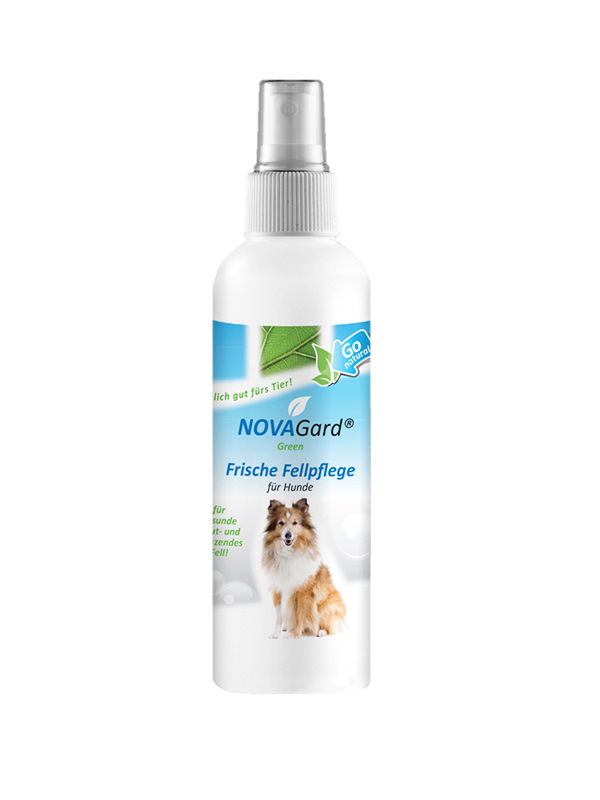 NOVAGard Green® Dry Foam Care provides fast thorough, mild cleansing of the coat without bathing the animal. not only ensures a simplified brushing of the coat, the hair is supple and shiny. The included lavender oil also unfolds a pleasant scent, without it being intrusive and unpleasant for sensitive dog licks. The NOVAGard Green® Dry Foam Care provides fast thorough, mild cleansing of the coat without bathing the animal. 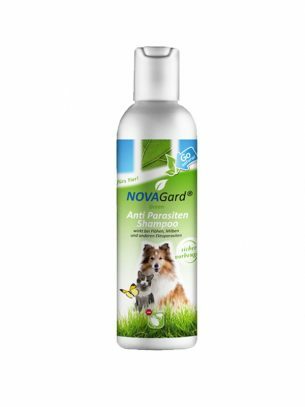 The NOVAGard Green® Fresh Grooming now with improved formula for dogs with aloe vera and wheat germ oil not only ensures a simplified brushing of the coat, the hair is supple and shiny. The included lavender oil also unfolds a pleasant scent, without it being intrusive and unpleasant for sensitive dog licks. 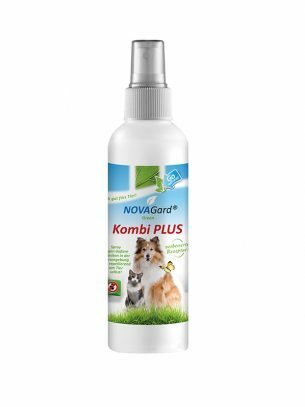 The animal environment can also be treated with the innovative NOVAGard Green® Odor Absorber Plus . In addition to the neutralizing effect of odors, the product can contain even more by containing colloidal silver: It packs odors at the root by eliminating bacteria. Odors are combated so effectively, on a natural way, a hygienic animal environment is created – well-being for animals and humans! Recommended use If necessary, spray on several times a day. Can also be combined well with grooming by brushing. 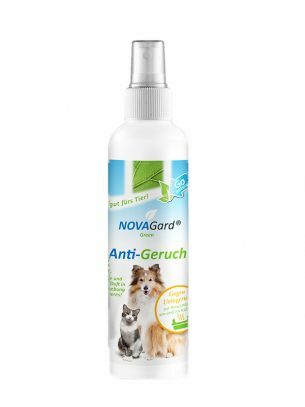 NOVAGard Green® fresh coat care for dogs contains aloe vera fresh plant leaf juice, wheat germ oil and a trace of natural lavender oil. The high percentage of aloe vera moisturizes the skin. The wheat germ oil cares for skin and coat. Both become supple. The coat of the dog is cared for and shiny fragrant. Aloe vera fresh plant leaf juice has skin-care, cooling properties and makes the coat shiny. Wheat germ oil has a skin-care effect, protects the coat, keeps the skin and coat very supple. lavender oil Smells refreshing and can help, for example, in wet weather to eliminate unpleasant odors in the dog fur.